Stumps are notoriously difficult to remove without specialized equipment and experience. 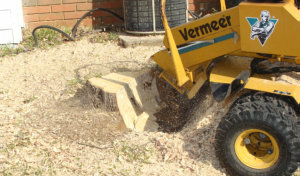 Through our services, we can remove any stump on your property without any problems. We have the tools, the experience, and the skill to make it seem like there was never a stump there to begin with. If you are interested in our stump grinding, Tree Removal and Landscaping in Broken Arrow, Oklahoma, you can reach us at 918-232-4853.